It's National Anti Bully Month. 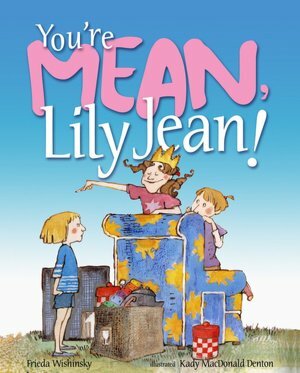 Share Frieda Wishinsky's You're Mean, Lily Jean! to discuss the importance of standing up to bullies and sticking up for the little ones. Sisters Carly and Sandy always play together and are happy to include new neighbor, Lily Jean, to join in the fun. Soon, however, things start to get a little hairy. Carly is forced to play some not so desirable imaginary roles with the girls just to fit in and Lily Jean bosses her way through various situations...until Carly has had enough! The two sisters work together and strike up a deal with Lily Jean that eventually leads to happy playing once again. Bullies can change! The pictures are perfect for sharing as the facial expressions and scenes are very telling and relatable. This book is a perfect discussion starter for bossy behavior, standing together and sticking up for younger siblings and friends. Who's it for? This is a perfect read aloud for preschoolers through third grade. The reading level is 2.1. Lesson Plans/Activities: 1. Role play the various scenarios found in the book and discuss solutions to them. 2. 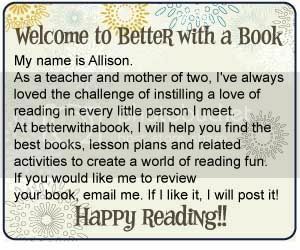 Have your students write a letter to Lily Jean. Include feelings, frustrations and solutions to the problems. Have students share their stories.